Are you looking for exceptional pet odor removal service in Bel Air, Maryland? Are you searching for outstanding upholstery cleaning work in the community? Book an appointment with our company without hesitation. 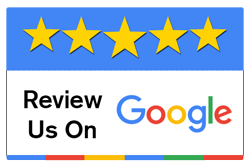 Advanced Carpet Care is a local business that has a reputation for first-rate customer service practices. We provide our customers with a wealth of convenient choices in professional cleaning services. We offer them carpet cleaning, first and foremost. We also offer them upholstery cleaning, fabric protection, pet odor extraction and even tile and grout cleaning service. It doesn't matter if you want to get rid of horrible pet accident smells. It doesn't matter if you want to defend your home fabrics. We can assist you perfectly. Our trained technicians can help you with all different facets of cleaning. They utilize A+ fabric protection techniques. They utilize upholstery cleaning techniques that are just as wonderful and effective as well. If you want professional cleaning assistance that aims to shine, we need to be your number one company choice. Our equipment is better than you can picture. Our upholstery cleaning agents are mild and safe. Our fabric protection tools are modern, effective, efficient and advanced. We strive for customer peace of mind seven days of the week. Are you in need of all kinds of convenient professional cleaning services? Get in touch with Advanced Carpet Care in Bel Air as soon as you get the chance. We specialize in fine cleaning work. We specialize in faultless customer service as well.